Notes: Effective Fall 2018, current Illinois Computer Science graduate students must follow the same application process as all other applicants. Current Illinois Computer Science undergraduate students applying to the five-year programs must check the degree links available here for information about the application process. Applicants must have been awarded (or are about to be awarded) a 4-year bachelor’s degree equivalent to that granted by the University of Illinois to be eligible for the graduate programs at the University of Illinois Urbana-Champaign. 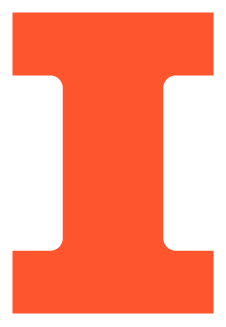 Applicants whose undergraduate degree is a three-year program may not be eligible for graduate level admissions consideration at the University of Illinois. Eligibility depends on the country where the applicant received their degree -- please see the Graduate College's list of eligible degrees. The University of Illinois Urbana-Champaign requires applicants to hold at least a 3.0/4.0 or higher GPA in their undergraduate degree to be eligible for graduate studies on this campus. Applicants who already hold a master’s degree in computer science or computer engineering whose degree requirements are equivalent to a Illinois Computer Science master’s degree are not eligible to apply for our MS or Professional Master of Computer Science (MCS) degree. Applicants who do not hold a bachelor’s degree in computer science must have sufficient background in computer programming, data structures and algorithms, computer architecture, and theory of computation. We highly recommend applicants complete courses in these areas at a local university near them prior to submitting their application. Visit our Application Deadlines page to review the deadlines for all of our Graduate Programs. All applications materials, including the application fee, must be received by the posted deadline. (Posted deadlines are for U.S. Central Time Zone). Late applications will not be accepted. In addition, incomplete applications will be subject to denial. It is highly recommended to have all application materials submitted one month prior to the deadline to expedite admission decisions. Note: Please do not send additional materials (e.g. publications, photographs, videos, CDs, or portfolios). These items are not reviewed during the admissions process. The university's application fee is $70 for US citizens and permanent residents and $90 for all other applicants. The fee must accompany the application by credit card payment with the web application. Application fees are non-refundable. Starting with applicants seeking entry in Spring 2017, and going forward, Illinois Computer Science will not not require submission of official transcripts during the initial applications review process. Applicants will be required to submit official credentials (transcripts, academic records, diplomas, certificates of degrees, etc.) only if they are recommended for admission to the Graduate College at the University of Illinois at Urbana-Champaign. Applicants recommended for admission will be required to submit their official transcripts directly to the Graduate College. Scanned transcripts must include all grade records and the grading scale used by the institution. (If the grading scale is on the back of the transcript, a separate scanned page should be included.) It is the applicant’s responsibility to ensure uploaded copies are legible and of high resolution. Do not upload password-protected transcripts. If you receive password-protected transcripts from your educational institutions, please print them and scan to a PDF file before uploading. Password-protected transcripts cannot be viewed by our Admissions Committee. “All credentials uploaded to the online application are considered unofficial. You will only be asked to submit official credentials (transcripts, academic records, diplomas, certificates of degrees, etc.) if you are admitted. These must be submitted during your first term of enrollment at the University of Illinois. Applicants are required to have three letters of recommendation submitted. It is recommended that letters of recommendation be from academics. They can either be your faculty, advisors, supervisors, or colleagues. If you have been away from academics for a significant amount of time, you may substitute non-academic references of your choice (e.g. immediate supervisors, colleagues, etc.). The letters should address your academic abilities and your potential to be successful at graduate level academic performance. If you are applying to our M.S. or Ph.D. program, your letters should also address your research abilities and potential. Individuals writing letters of recommendation on your behalf should submit their letters through the online application system. Any recommendations that do not follow this process may impact timely application processing. Please make sure recommenders complete the section on the “Recommender’s Form” that states “To what extent do you recommend this applicant for admissions as a graduate student in their proposed field of study”. The statement of purpose is part of the online application form. Your statement will be evaluated for your conciseness, reasons for pursuing a graduate degree, leadership skills, and eloquence. Applicants to our M.S. or Ph.D. program will also be evaluated according to their scientific research interests. Your CV/resume is a part of the online application form. Your CV/resume should address your education, job experience, research experience (M.S. or Ph.D. applicants), remarkable achievements, publications, organizations, awards, and leadership experiences. This information helps the admissions committee understand your background. In addition, it helps when identifying M.S. or Ph.D. applicants for RA and TA assistantships. The Graduate Record Examination (GRE) general aptitude tests (Verbal, Quantitative, and Analytical) and subject test scores are recommended, but not required. In some cases, the scores may provide helpful supporting information. If you would like to submit scores, we recommend that you scan your official score report as a PDF file and attach it to your application. You do NOT need to submit official scores through ETS. If your native language is not English, the TOEFL or IELTS Exams may be required for admission. This includes permanent residents of the United States (green card). Please carefully read about this requirement. If your native language is not English, and you have applied to a graduate program (MS in CS, PhD in CS) where departmental financial aid is offered, you must submit a TOEFL iBT score for full consideration for financial aid. Please carefully read about this requirement. If admission is offered, international applicants must submit the Declaration & Certification of Finances Form. This form does not need to be submitted with the application materials. 11. Check the status of your application materials to ensure all materials have been submitted. Please check your application in the Graduate College application portal to ensure all required materials have been submitted. If your email address changes between the time you submit your application and the decision deadline, email your updated email address to admissions@cs.illinois.edu. Include your old email address, your new email address, your first and last name, and your application reference number in the email message. Admissions results will be sent to your email address by the posted decision deadline. Any applicant can appeal the admission decision by submitting the CS Appeal Form. Fall term admission appeals for the PhD and CS MS programs must be submitted by April 15th and will be reviewed no later than May 15th by the CS Admissions Committee. Admissions appeals for the MCS (on-campus and online), MS Bioinformatics, BS-MS, and BS-MCS programs must be submitted within 14 days of the date when admissions decision was released.